“During last year’s election campaign, Sebastián Piñera, who became Chile’s president in March, often criticised Codelco, the country’s state-owned copper company, for its inefficiency, griping over its stagnant output and climbing costs. Yet it was engineers from Codelco who stood beside him this month as the 33 miners trapped since August 5th in the privately owned San José copper and gold mine in northern Chile were hoisted to safety. … Other big mining companies helped with advice and equipment. But Mr Piñera looked to Codelco, which runs the world’s biggest underground copper mine in El Teniente, to lead the rescue operation. Codelco hired Diego Hernandez, BHP Billiton’s former base metals head, as CEO in 2008 to return the company back to growth. The company is planning a $12bln capital investment offensive in Chile in order to ramp-up production. However, issuing equity is not an option due to Chilean legislation. Analysts expect Codelco to increase its debt by up to $7bln and use cash generated from operations for the rest of the investment plans. Codelco still has ample investment opportunities in Chile in its core copper business. The company is unlikely to diversify in products or geographies, as the Chilean government has an important voice in the investment decisions. 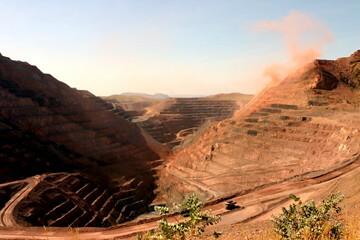 Codelco would be a logical partner for Vale to strengthen its copper business. The geographical proximity would help to create strong synergies and a merger, partnership or Joint Venture would help Codelco to secure the funds needed for expansion.